Is There A Second Chance For Angelica Panganiban + Carlo Aquino? We're rooting for you guys! 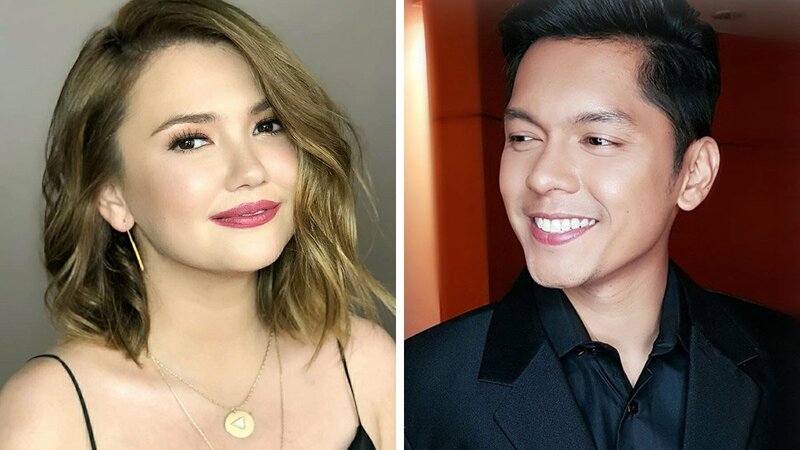 The Internet collectively let out a sigh of kilig when Angelica Panganiban was asked to comment on the possibility of rekindling the romance with former boyfriend, Carlo Aquino. And why not? Carlo recently admitted to being single after a six-year-relationship with his non-showbiz girlfriend. This, of course, got people to ship the former lovers, who are both currently single. And if you are among those who grew up with G-Mik and Berks in the late '90s and early 2000s, you absolutely know what we are talking about! On Gandang Gabi Vice, Angelica responded to a comment Carlo previously made on the same show calling her "the one that got away." She said, "Matalik kaming magkaibigan niyan. Ang maganda kasi sa amin, naging magkaibigan kami after [the breakup]. Nagsimula kasi kami sa friendship. Sabay kaming lumaki eh. Kaya siguro kahit 'nung naghiwalay kami, walang galit samin." Angelica has been very vocal about not being open to getting back together with her ex-boyfriends but when asked if she will be willing to go out with Carlo, she replied, "Inaaya naman niya ako kasi marami kaming mga pag-uusapan." But this won't be the first time the two would be going out together. Here's a picture of Angelica that Carlo posted on Instagram which just proves how they've remained good friends after all these years. As for reviving their love story, we just have to wait and see. Let's not jinx this, guys!